On Wednesday when the Orioles and White Sox take the field, a major league game will be played with every seat empty for the first time in history. 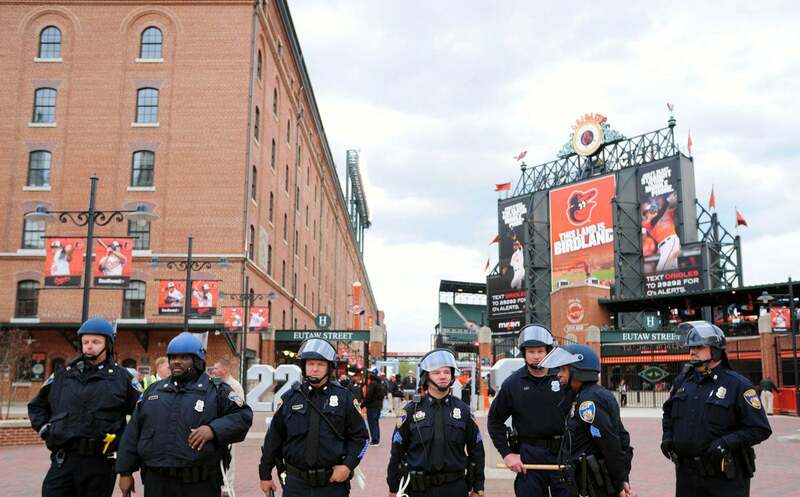 Faced with scheduling limitations and the potential for more unrest in Baltimore, Major League Baseball announced Tuesday afternoon that the Orioles-White Sox game scheduled for Wednesday afternoon will be closed to the public. Baltimore remains in a state of emergency due to violence associated with rioting that has broken out in the city following protests that started over the weekend over the death of Freddie Gray. After MLB conferred with Baltimore officials, it was determined that Wednesday afternoon’s game “should be played without fan admittance in order to minimize safety concerns.” Monday and Tuesday night’s games had already been postponed. The lowest attended game in history before the Orioles-White Sox empty-house clash took place in Worcester. On September 28, 1882, six fans attended the game between the Troy (New York) Trojans and Worcester Ruby Legs at the Worcester Driving Park Grounds. Both teams were National League franchises and both had been recently informed that their franchises weren’t being renewed for the 1883 season. The NL was looking to get bigger and both teams would be replaced by teams awarded to larger markets. Neither team was very good on the field. In the eight-team NL standings, Troy (35-48) and Worcester (18-66) finished seventh and eighth, respectively. In fact, Troy finished the season 37 games back of the first-place Chicago White Stockings. The Orioles weekend series scheduled against the Tampa Bay Rays will be moved to Tropicana Field in St. Petersburg, Florida, but Baltimore will be designated as the home team for the series. All fans with tickets to Orioles games on any of those four days may exchange their tickets for any remaining home game this season on a “dollar-for-dollar” basis. The Orioles-White Sox games that were postponed on Monday and Tuesday will be made up as part of a twi-night doubleheader at Camden Yards on Thursday, May 28.